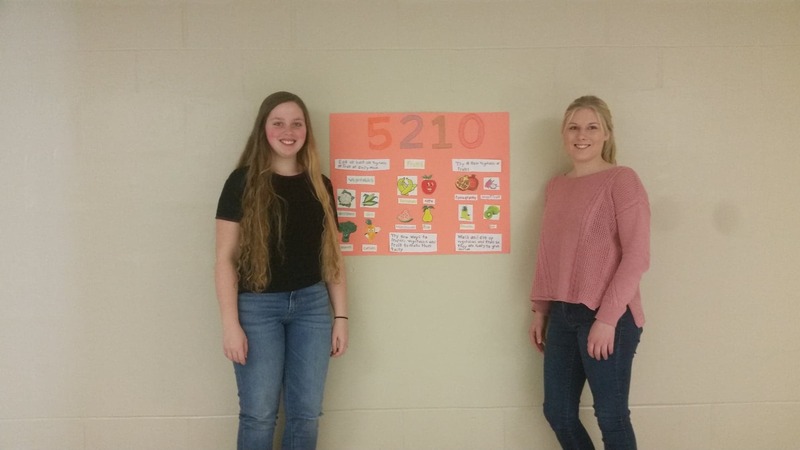 Two grade 12 students in the Co-op program with the Blackville Mango Health & Wellness Committee, Mackenzie Stewart and Emily Peterson, promoted 5210 A Way of Life in their school. 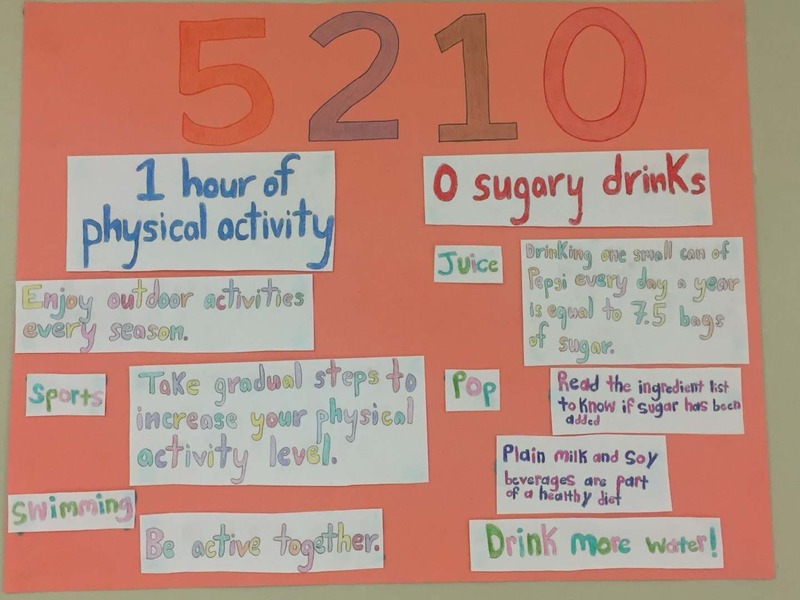 Every week during Nutrition Month (March), they did a booth on each of the 5210 messages. Many students learned a lot at these booths. Some students tried new vegetables and fruits that they had never had before and found out that they liked them (Ex: broccoli, honey dew, etc.). Students were also surprised at the amount of sugar in some beverages. Overall, their 5210 Campaign was a success! 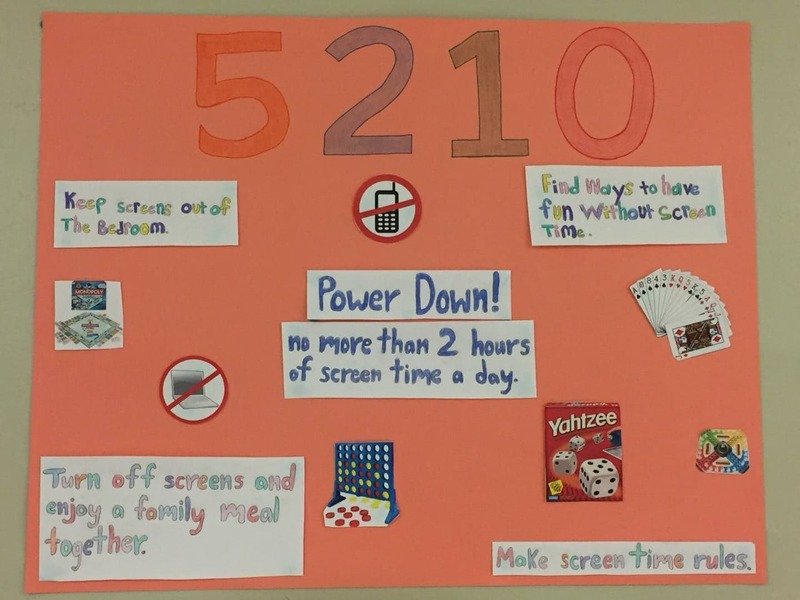 Great job Mackenzie and Emily on promoting health in your school!